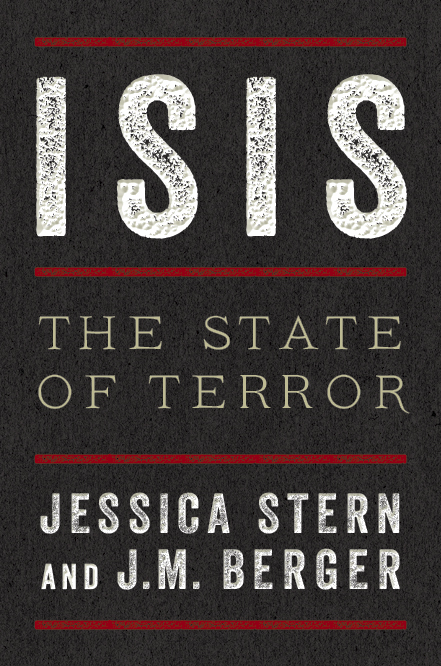 As a foremost U.S. expert on terrorism, Jessica’s articles have appeared in numerous publications. Is the War on Terrorism Really Winnable? What Does ISIS Really Want Now? Behavioral Sciences and the Law, April 2014. Can Google Make Non-Violence Cool? Op-Ed, The Washington Post; February 18, 2011. Op-Ed, The Washington Post; June 20, 2010. Op-Ed, The Washington Post; January 10, 2010. Op-Ed, The New York Times; September 10, 2006. A Foreign Affairs Roundtable; September 2006. Op-Ed, Boston Globe; August 1, 2006. Op-Ed, International Herald Tribune; July 16, 2006. Op-Ed, The New York Times; July 15, 2006. Op-Ed, Globe and Mail; July 12, 2006. Journal Article, Journal of Risk Research, The Precautionary Principle Special Issue, issue 4, volume 9; July 2006. Journal Article, Nature, International Weekly Journal of Science (Correspondence), issue 7059, volume 437; October 29, 2005. Op-Ed, USA Today; July 24, 2004. Magazine or Newspaper Article, Financial Times; July 12, 2004. Op-Ed, Los Angeles Times; July 6, 2004. Op-Ed, Boston Globe; March 25, 2004. Journal Article, Social Research, Fear: Its Political Uses & Abuses, Vol. 71, No. 4; Winter 2004. Op-Ed, Boston Globe; December 28, 2003. Op-Ed, The New York Times; August 20, 2003. Journal Article, International Security, issue 3, volume 27; Winter 2002/2003. Foreign Affairs; July/August 2003. Read the postscript Tracking Terrorists. Event Report; November 26, 2002. Op-Ed, The New York Times; April 26, 2002. Op-Ed, The New York Times; February 28, 2001. Foreign Affairs; November/December 2000. Read the postscript interview. CDC Special Issue; July 1999. NASA Quest; April 23, 1998.